Challenge Yourself and Be Rewarded. Ride 1050km in 9 weeks. #TOGO1050 is the final challenge of 2016 culminating the celebration of Togoparts.com’s 15th Anniversary. 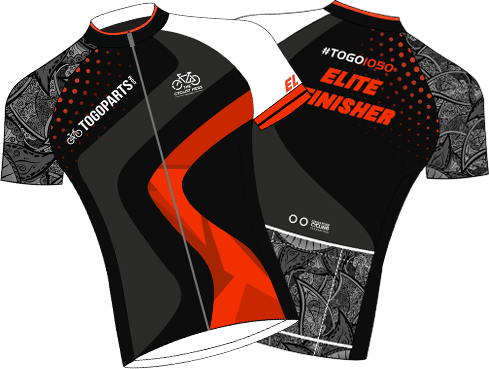 Cycle from 10th September to 13th November 2016 to clock at least 1050km to get the special Togoparts 15th Anniversary themed #TOGO1050 Finisher Jersey! Ride anywhere, on your own time and schedule for any reason, on any type of bikes that is non-electric assisted. Ride to say hi to your neighbours, go to the market or go overseas to hit the slopes. Anyone around the globe can take part as long as you have a Data connection to log your rides! The World is you digital cycling playground. 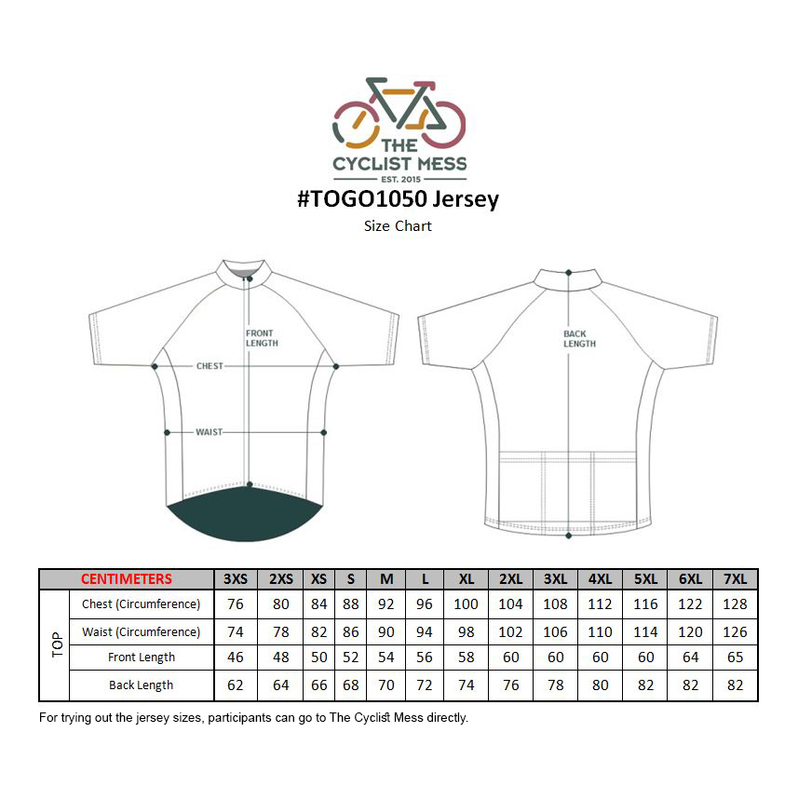 * Jersey Design, Colours and Sponsors and positions subjected to Change. 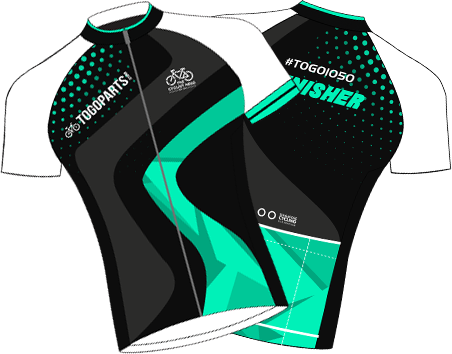 Seasoned cyclists - aim to clock more than 2,515km to get the ELITE coloured Finisher Jersey! The Top man and woman who clocks the most distance gets a special Blue and Purple jersey respectively. Cycling is not the only thing we are passionate about. As 2016 draws to a close, let us do something meaningful together. 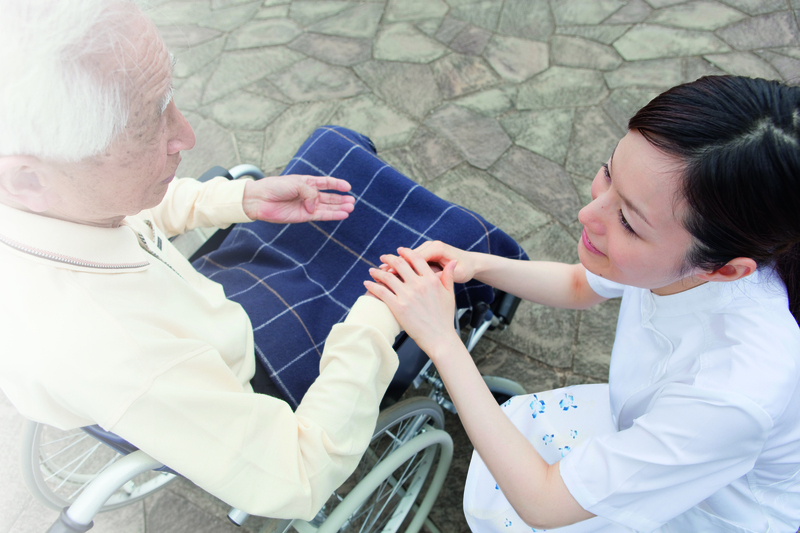 With your support, we can help those in need. Your generous donation will help needy patients under TTSH Community Fund with out-of-pocket medical expenses on their road to recovery. Togoparts will give participants 5 T-Credits for every $50 donated! (capped at 200 T-Credits). Forward the receipt of the donation to us, and we will do the rest. Read more about the Tan Tock Seng Community Fund here. Specialized Singapore has generously sponsored a bike for auction in support of our campaign. All proceeds will go towards TTSH Community Fund. 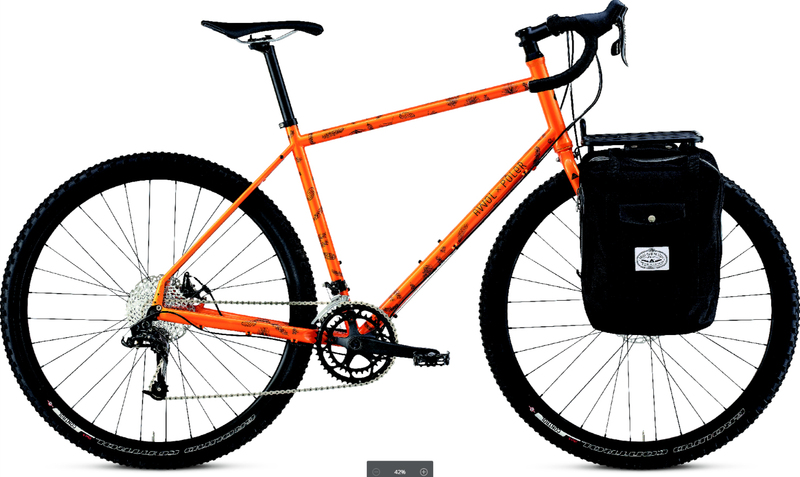 No matter the terrain or adventure, the AWOL x POLER is up to the task. The Cr-mo frame is plenty stiff with enough compliance for all day comfort and the integrated rack/fender mounts assure you have the option to always ride prepared. Strong, light, and compliant Cr-Mo frame provides all day comfort without sacrificing weight. Butted Cr-Mo form with rack/fender mounts provides confident steering at a low weight. Specialized Ground Control, 2 Bliss Ready 700x48c tires for all-terrain traction. Forged alloy, 2 pc. compact crankset for wide range of gearing options. Tektro Spyre-CS, mechanical disc brakes for powerful braking no matter the conditions. SRAM X9 Type 2, 10-speed, long cage derailleur for crisp shifting. Body Geometry Phenom saddle for comfort on long days in the saddle. AWOL Pizza Rack folds down to size of pizza box; includes two Poler panniers with rain covers. Bids start from SGD 2600. Get yourself a new bike and help the needy sick too! Think you're up for the challenge? Follow these steps to sign up! #TOGO920 was a motivational experience, enduring the distances and fun. I lost 5 kg in weight and become additive to cycling. Togo920 was fun. The distance 920km is easily achievable. Initially i was targeting at 2400km, about 300km per week. I'm new to cycling world but was enjoying the event. It was fun strolling around Singapore. Initially disliked the design of this round's jersey, but I guess its an acquired taste. It did grow on me well. I had fun this round too! Loved it! Please keep making it more interesting to keep encouraging me :-). Thanks Guys! Great event that motivated participants keep cycling. Enjoyed the challenge! Had a great achievement too! need to commit to it. very challenging for mtb users. Hi All...920 is my 2nd event..see my comments in togo 1050! Great and interesting place for bike information. Thanks. TOGO920 challenge... is my first time joining this challenge. It was an AWESOME experience. I really endured the rides and lost a good amount of weight. Got more fit on my bike. Love the experience. 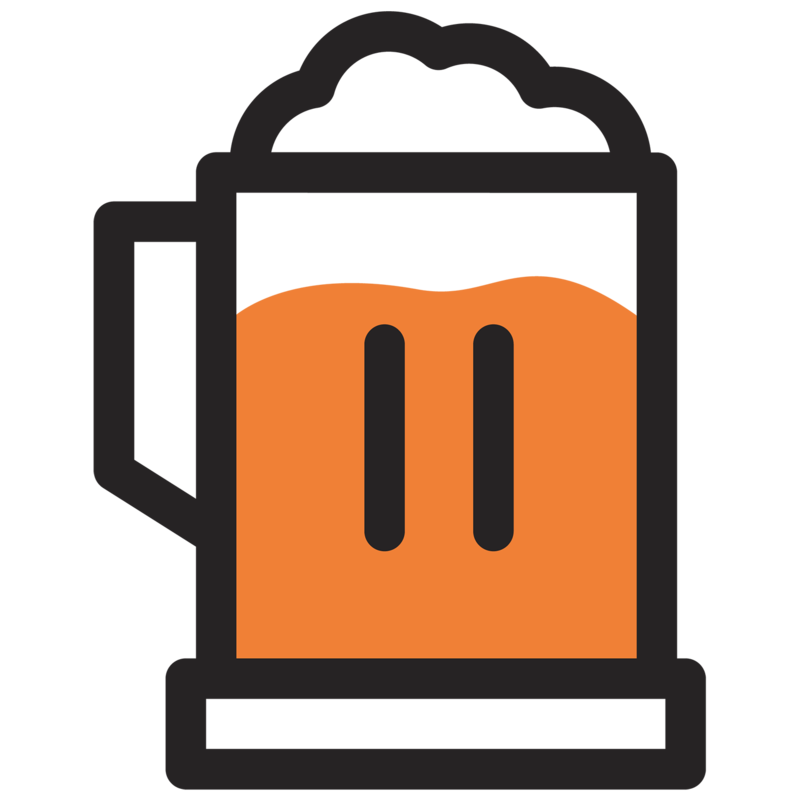 Tests of mettle, stories and coalesced experiences will be shared over beer (or coffee) during our private event reserved for Finishers to reminisce and celebrate away whilst we give out the Finisher Jerseys, in the week of 12th December 2016. The sense of achievement when you collect the Finisher’s Jersey? Priceless. 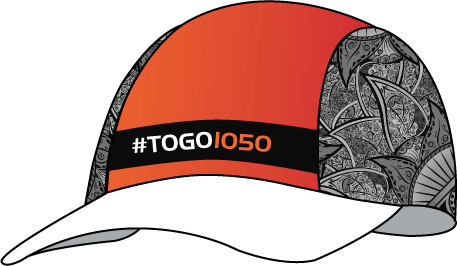 Sign up for #TOGO1050 today and get rewarded just for riding your bike.